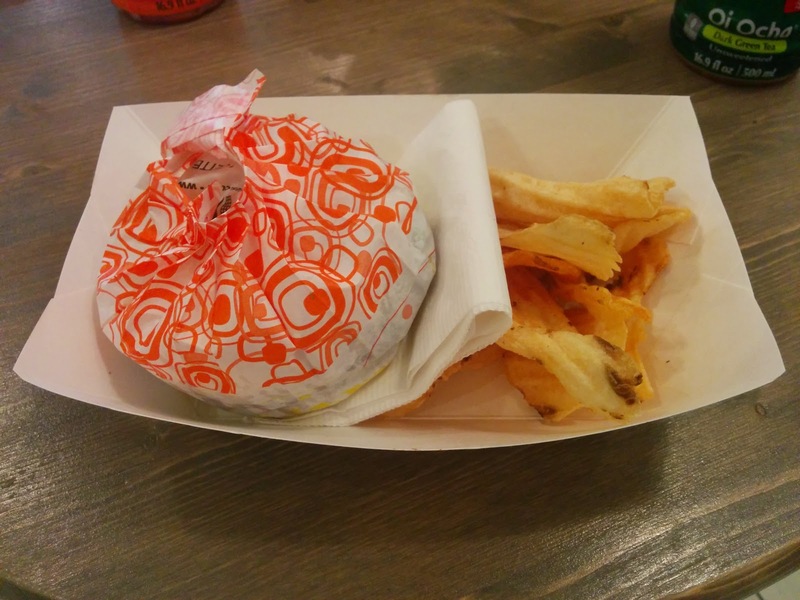 My native New York is home to much good food, and many high profile ramen shops, but none has caused so much buzz as Keizo Shimamoto's ramen burger. A ramen fan himself, in his time in Japan he crossed to the other side of the counter as the manager of Tokyo's Bassanova. 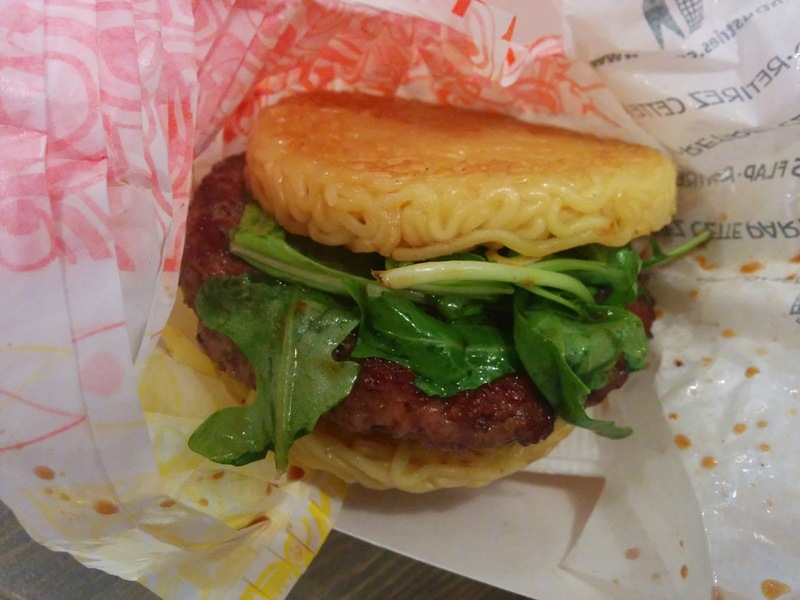 In 2013 he took America by storm with the ramen burger, debuting exclusively in limited time venues. 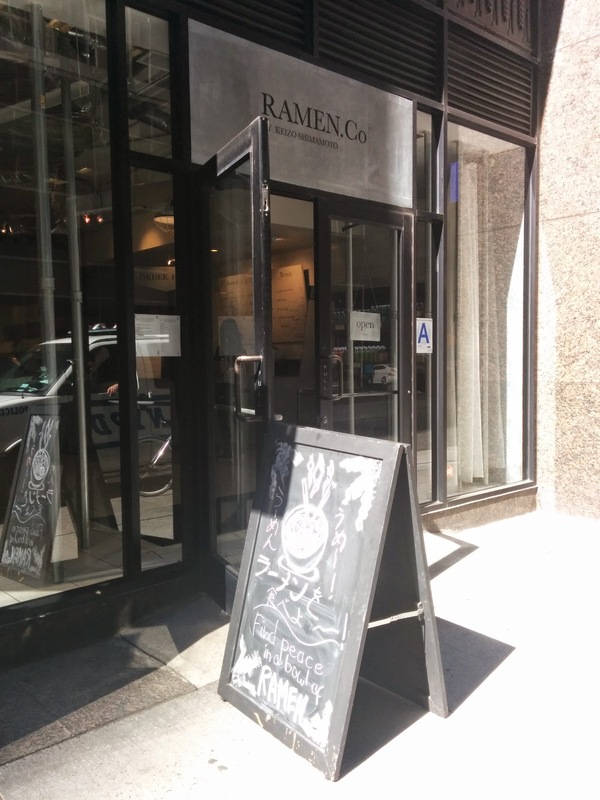 It's been some time since then, and Keizo has opened his own ramen shop in New York: Ramen Co. I visited New York in September, and this was the only place on my mind I knew I had to stop at. I was very tempted to order a bowl of ramen as well, but Ramen Co. was but one of many stops on my New York food tour, so I ordered the one dish I had been waiting for: the ramen burger. A ramen burger is not something I've never tried before, but Ramen Co. presents one that's easily the top of the bunch. The burger itself was simple enough, but the rich sauce kept the image of ramen in mind. The noodles were a little tough to eat as a bun, but their springiness worked well with the rest of it. It's not something I would want as replacement for ramen every time, but I'm glad I got to experience it. I would, and next time I would get the ramen. It's a thing, and one worth trying, for you Americans reading this blog.